Having trained as an mBIT Trainer and an mBIT Master Coach with Grant Soosalu a co-developer of mBIT and two Master mBIT Trainers: Wilbert Molinaar and Suzanne Henshaw; I ran my first UK mBIT training courses in mid 2015… and my first US course in early 2017. I am please to say mBraining in Cornwall has grown steadily having personally trained close to 40 certified mBIT Coaches now… and I have more US courses planned too. In addition to training NLP and Coaching Programmes, I run this programme two to three times per year and YOU could be on one of these courses! 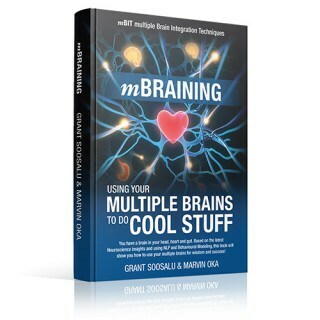 mBraining and the mBIT toolkit are revolutionary in approach, targeting alignment of multiple intelligences offering coaches and people-helpers new frameworks to create truly generative insights within their clients. More than that – attending the mBIT Coach Certification Programme evolves your interpretation of coaching itself, fundamentally shifting the potential results you can achieve both for yourself and with your clients. You will learn how to coach at an ontological level – exploring the deepest level of insight questioning awareness itself… No surface level chat here! Whether you are an established leader or professional coach… or new to the field of personal and professional development this programme will enable you to stay well ahead of the curve in a new and emerging field. You may not be a professional coach, but simply wish to extend your personal wisdom aligning your head, heart and gut awareness in order to make “ecology-wise” choices, if this is the case this programme is likely to create profound insight. mBraining uses neuroscience findings about your multiple intelligences (the groups of neurons within your heart, head and gut) and what they have to offer for increasing intuitive abilities – yes you really can develop your intuition! As you might imagine… being able to access and interpret signals from your wider distributed nervous system enables you to immediately generate wiser decision-making in your daily life. … AND YET mindfulness is no longer seen as a fringe activity and is now viewed as a core leadership practice within more enlightened organisations. There is even more good news… Science it seems is catching up and we now know for sure that we have “complex adaptive neural systems” (the term neuroscientists label as brains) in multiple places with our bodies. Imagine only using a small proportion of your thinking ability to orientate yourself within the world… This is exactly what happens when we rely solely on head based data. Sometimes it is useful to “get out of our head” and as a result “get out of our own way”. For many of us “embodied cognition” is something we can each benefit from developing. This does not mean ignoring information from our head… it is simply about creating balance, avoiding over reliance on neck up decision making in order to establish alignment and flow. Failure to acknowledge gut and heart signals as real and tangible information leads to having “mixed feelings”, experiencing dissonance and unease where we are not quite convinced that our choices are coming from a deeply integrated place. Most of us will have experienced this conflict between our thoughts, feelings and actions at times. mBraining is all about aligned living, where wisdom becomes a foundation for all self expression – personal and professional. How we use our multiple brains to communicate and operate with each other is vital for congruence, success and happiness. Due to further scientific discoveries relating to neurogenesis we now know that even what we perceive as our hardwiring (some might describe this as conditioning) has plasticity / malleability. mBIT offers practical tools and approaches (software) and mBraining Training enables you to develop the ability to use that software wisely and instinctively. So are you ready to dive deeper into mBraining, to discover more about what mBIT is and what else it offers…? Are you excited to know more? Get in touch to secure your place on our next mBIT Coach Cert…… mBraining and mBIT are here to stay and the neuroscience discoveries informing this field are expanding daily – so what are you waiting for?